if you ever think to yourself can you learn how to earn money with a laptop and the internet, we are going to answer that in this article. Ever since the internet has been out people have been fascinated with making money online. It really started to reach its peak around the year 2000 when people really became interested in online money making activities. As time grew on and computers became faster and laptops started hitting the market, people started making money from anywhere online. Some people travel now and have a full-time business online and some just stay at home and work from their computers. And yes, it’s completely doable to earn money from your laptop and the internet. And no, you didn’t miss the boat, you can still get in. So, lets jump into the nitty gritty on how to make money from a laptop. The first way we will cover is making a website or blog and getting free traffic. This is by far one of the slowest ways to earn money on the internet with your laptop. But, if you put in the time and effort it can become a huge income bread winner for anyone. Having a website that gets a ton of traffic provides a good feeling of success. Once you start to check your analytics and see actual people flooding your site. But, there are things you must do to make this happen in it’s own right and let us just say here it’s not easy and it can take some time. By time we mean a year or two. But if you keep at it a high traffic website can provide a good foundation for a flourishing online business. Don’t believe us? Just ask affiliate bloggers like Jeff Lenny, Zac Johnson, and even Pat Flynn. These guys are all affiliate bloggers and make good money doing so. What’s the basis of their business you ask, well it’s content. Each one of these affiliate marketers have mastered content creation to it’s fullest potential. This is how they get traffic, it’s from all their content which helps provide free search engine traffic. Zac will write about affiliate marketing tips while Jeff writes about product reviews and Pat will write about many different topics from affiliate marketing to SEO. And, when it comes to content these guys produce a lot of it and they product quality. Quality and quantity work hand in hand. 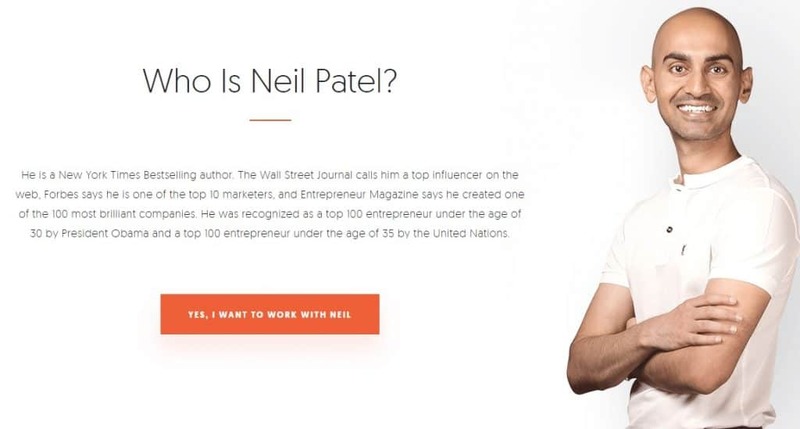 Or perhaps you might of heard of Neil Patel? Neil is another high content producer who is now known as an SEO and internet marketing Guru. And yes, it all from content creation and knowing how to build links back to his blogs. So now you know it’s all about content. How do you get started earning money with a laptop and the internet? Ok, now we’re going to list below all the steps you need to get started creating a website or blog to begin earning money. Follow each step carefully especially if you are a beginner. Of course, these are the basic steps to getting started and there are more steps you need to take as you go. For instance learning SEO can help. But these steps will get you started. When first thinking about starting your first website, you will want to pick a niche and it would be best to pick a niche you know something about. The reason for this is, it will be easier when you go to write your articles. Also, some niche’s are over loaded with competition but if that’s the niche you are choosing, then it is what it is. Later on when you add more websites, you can pick lower competition niche’s and make other websites. In fact this is how some people make a living online. They find a niche they know they can rank in Google and then they create a website around the concept. Some people make hundreds of these websites in all kinds of different niche’s. And it does work but, you are just getting started and you have to walk before you can run. So pick one for now and then you can create other sites later on once you get good at this stuff. Keyword research is at the heart of every internet marketing campaign. These reason you start with this research is, it will tell you if there is a viable market. So let’s say you decide to go into the garden niche. You are retied and you lover gardening and you want to blog out this from your laptop. Now, you would head over to the Google keyword planner and type in gardening. This is, of course, a very broad word but this will give you an overview of the whole niche and you can pick other keywords from here as well. What you want to do is try and narrow down to keywords that have less competition. This way when you start writing you will actually have a chance at ranking. You can use SEO PowerSuite’s keyword difficulty tool. Once you found a good amount of keywords you will want to start grouping them. By doing this you can start to see a pattern of keywords that belong together. And some of these keywords will be able to go on the same page when you start writing your articles. It’s important for you at this step to write your first article. And it doesn’t matter how good or bad you are. For now you just want to get a feel for writing as this will make you just start. Remember content is very important to a blog when it comes to getting traffic. So, you will have to learn here and it may take you some time to learn but do not give up. You might have to write a few hundred articles to start getting good traffic so in no time you will become a very good writer. You just have to practice over and over again until you are good at writing. If you are not sure what WordPress is, it’s a CMS or content management system. WordPress makes things simple for you and will house all of your articles. And when you get better at the CMS, you will truly see how easy it really can be. So, to get started with WordPress on an easy note, find a web-host who can install it for you so you can easily get started writing. After installing WordPress you will want to go to your plugins section and find and install the Yoast SEO plugin. This plugin will allow you to enter a seed keyword and help you get on-page optimization right for every page and post you make on your site. There are also other options which are essential to helping you make sure you get WordPress SEO right. At this point once you get WordPress up and running and all the plugins installed you need to get started, you will want to start writing more articles. This is going to be the point where you really do nothing more than write. Remember writing is the key thing that will help get your blog off the ground. Without a decent amount of content you do not have a baseline to get more traffic. All the other things that you need to learn about will come over time. Writing is the most important part here. Once you have a good amount of articles written you will want to start interlinking your articles together. But, don’t just add links for the sake of adding links. You want to make sure you only connect articles together that belong so your readers and search engines bots do not get confused. Adding these links will help your readers to find other pages on your site increasing their “time of site” and it will help search engines navigate your site so they can crawl it better and get a good feel for what your site is about. Interlinking will also help build what’s called your website structure. Above was the outline for making money with a new website or blog. There is much more to it but we hope the introduction helps you get started. Although we are truly into making money from websites, there are other ways to make money without a website. If you have physical products to sell you can always sell them on Ebay with an auction or on Amazon directly to the public. On these sites you list your products and make your content on each page the best it can be and then you are up and selling. Have you ever heard of Craigslist? If you haven’t then Craigslist can be another way to make money. On Craigslist you can post items you have for sale and then either meet people to hand them the item or you can decide to ship it to them if they agree. Another way to make money is with an Email List. And, you do not even need a website here. All you really need is some landing page software and an email auotresponder. The only downside to this model is you have to get traffic because you have no website and usually this means you have to use paid traffic. But if you have the money it can be a great model to choose. With this online business form you just collect emails and then you send out emails to your list. This is a whole other way of doing business online and it can work very well for you. But you need to learn email marketing. Email marketing does work and what’s great about it is, an email list is truly the only form of business online where you own something. What you own here is your email list. With any other model, you are prone to some big business that can take everything away in a second flat. Email should be used no matter what business model you choose. And, it’s also important to learn to develop a great relationship with your email list. You don’t just want to always send promotions instead, you want to give them helpful, useful content and then make offers about every 5-7 emails. This will help others to trust you more before you try and sell them anything. As you can see there are many ways to learn how to earn money with a laptop and the internet. You just have to decide which business model is right for you. We like to make websites and make money that way but you are prone to Google updates and things. So, we think selling on Amazon is good too but you do not get to build an email list like you should. So, pick wisely and you can always start with one and move over to another one if you choose and mix them together. Nothing says you can’t. In fact many people who are pros at selling online, have several different models all running at the same time. This way you always have a back for your income in case something happens.